Things must be getting pretty rough in Turkey. 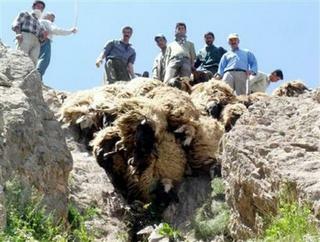 1500 sheep attempt suicide; 450 succeed. Imagine how those 1050 poor slobs who failed must feel. Roast mutton in the suq tonight!